But, no. I’m totally serious. 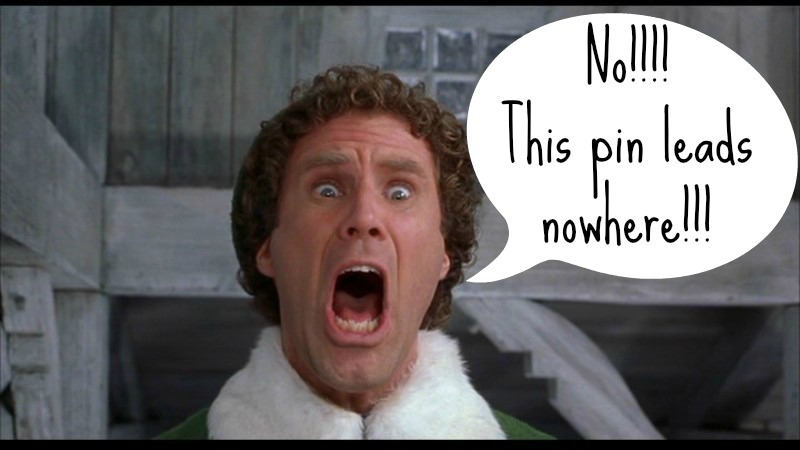 Buddy the Elf stole my blog. Sorta. Except not really. But he kinda did. Yesterday at 2pm my husband sends me a message “Buddy the Elf is posting your St. Patty’s Day post on Facebook.” and I’m like, “I have no idea what that means.” So he tells me that his sister sees this picture of our house in her Facebook feed and she called to tell him, and then he told me. At first I was excited thinking about how awesome it would be to get a ton of unexpected traffic from a Facebook page with over 11,000,000 followers. And just in case you have trouble following all of those zeros, that’s over 11 million people. Woo to the hoo! So I go to the Buddy the Elf Facebook Page and I see my photo has been “liked” over 6,000 times and shared on Facebook over 1,000 times. And my heart sinks. Because here is no source link back to me included. In fact, there’s no link at all. To make things worse it was an older version of the photo from 2011 that wasn’t watermarked. I hadn’t even been blogging an entire year yet when I published that post and it never crossed my mind to watermark my photos. It leads nowhere. Well, actually it leads here. The original pinner (Buddy?) had pinned the image url instead of the post url, so when you click on the pin it just brings up the photo instead of leading directly to the post. The good news is that “coolestfamilyontheblock” is included in the image url, but most people aren’t going to take the extra step to search for the blog. So this is a cautionary tale for you, girls and boys. 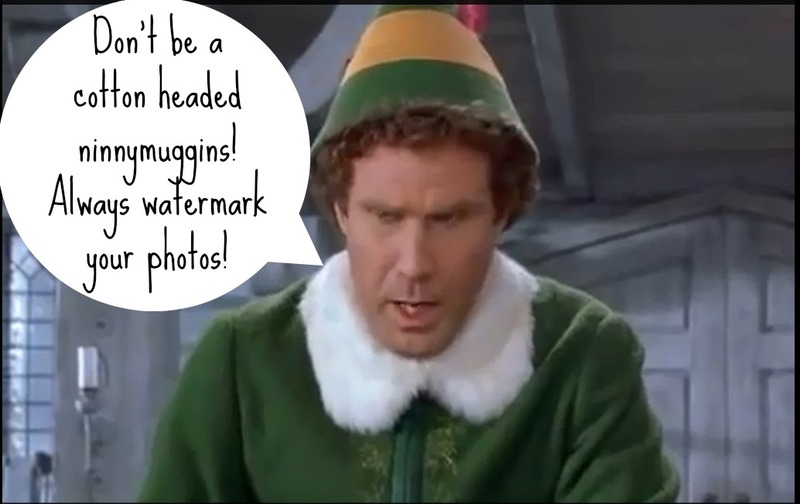 Always watermark ALL of your photos before putting them on the internet, because you never know if your content will be stolen by a 6 foot tall elf with a following of 11 million people. Furthermore, never pin or repin a photo without a proper link to the original source! This means that you should be clicking through and checking sources before repinning. I know that Pinterest can be addicting and you can get pin happy and just start pinning all of the things and who has time to click through when I’m so busy planning my dinner/wedding/birthdayparty/dreamhome/workoutplan?! 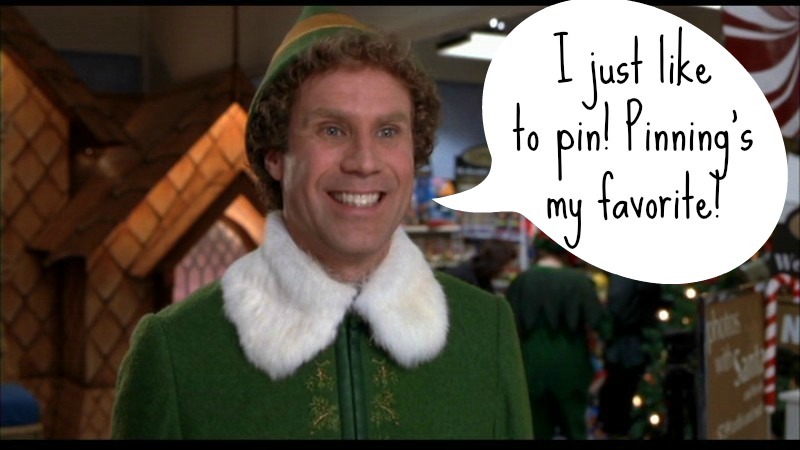 But you seriously need to slow your roll, pinner, and make sure that you are pinning responsibly! It doesn’t do anyone any good to spread “bad” pins around that lead nowhere or that lead to the wrong place. It’s frustrating for fellow pinners who are seeking the original source for content/information and frustrating for the bloggers (content creators) who are missing out on traffic and potential new followers. Follow the golden rule while pinning, if you wouldn’t like someone else spreading around an unsourced photo of yours then please don’t repin without checking the source first. Woo Boo to the hoo. I could report the photo on both Facebook and Pinterest and have them removed for not crediting the original source and copyright infringement or other fancy legal sounding what-nots, but I have no interest in this at the moment. I don’t care if they shared my photo…I just want my traffic. In an attempt to remedy the situation, I started dropping my link in the comments on both the Facebook page and on Pinterest. I started “liking” the positive comments and replying to some of them. Did it help? I don’t know. “Buddy” hasn’t responded to me at all. How can you help?! I’d really appreciate it if you could help me get the watermarked version of this photo along with the source link out into the internet, particularly on Facebook. It would be great if you could share it on Facebook through your personal profile and/or Facebook page. Do you always watermark your photos? Do you check sources before repinning? 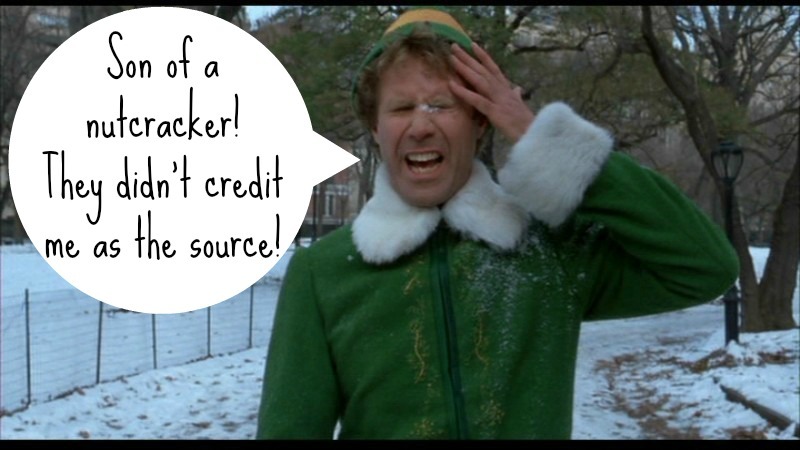 Has an elf ever stolen your blog content? Let me know in the comments! *ATTENTION! : This post was written in January 2014. If you are visiting here from the future please be advised that this information is probably no longer valid/current because Facebook will change how it works approximately 12 minutes after I hit publish. Because Facebook hates us all. I’m active in many blogging forums and Facebook groups. Recently someone asked me to explain how to add Facebook pages that you “like” to Interest Lists on your personal profile. I “like” a lot of Facebook pages and I currently have over 100 private interest lists on Facebook. The images below are poor quality because they’re just screenshots that I used Paint to write on top of…super high-tech stuff here. Double click to make the images larger. 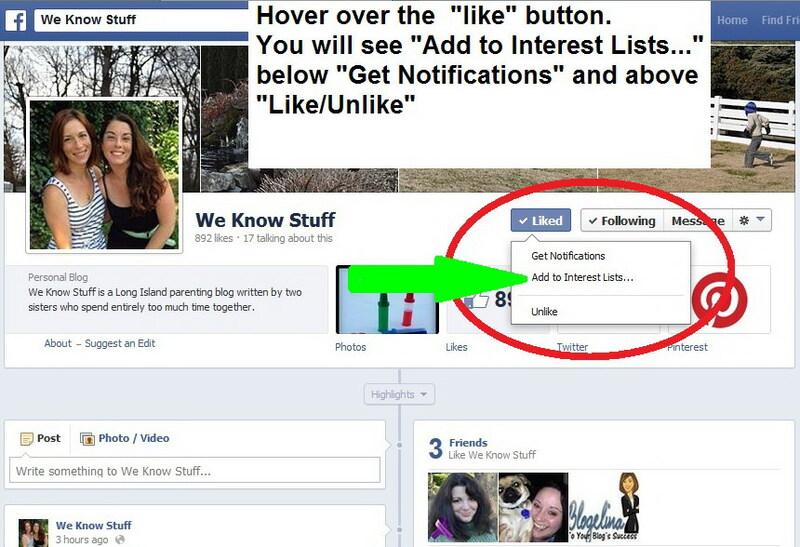 I used the Facebook page “We Know Stuff” in my example, check them out and give them a “like”! 🙂 And while we’re being all social, you can “like” Coolest Family on the Block and my other page I Make Myself the Queen on Facebook! I have created a public list for SITS bloggers pages. It currently includes over 300 pages and counting! If you are a fellow SITStah you can follow the list on Facebook here: https://www.facebook.com/lists/636757593051688! FIRST, you currently can not add interest lists when you’re logged in as your page, only when you’re logged in as your personal profile. You also can not view your interest lists while you’re logged in as your page. 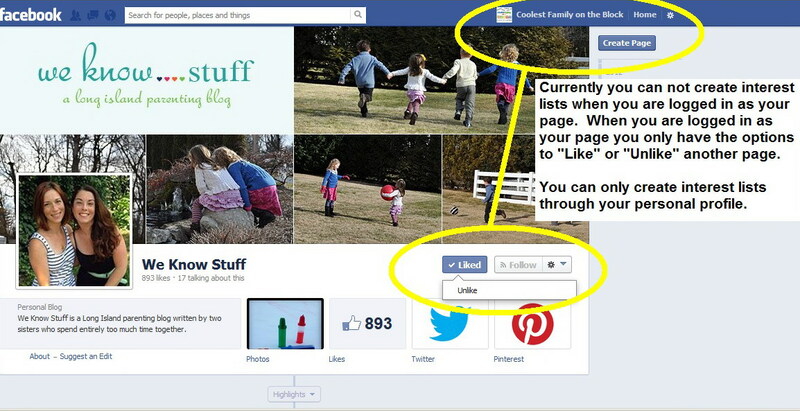 Do you use interest lists to organize the pages you like on Facebook? What is your favorite/most used list? Do you keep your lists private or public? Let me know in the comments!